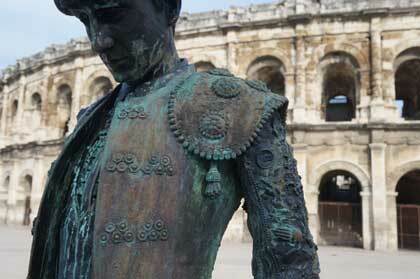 The statue of the famous bullfighter Nimeño II in front of Nîmes Arena was vandalized on March 18. It appears that muriatic acid or some other chemical was poured onto the statue, causing the metal to oxidize. 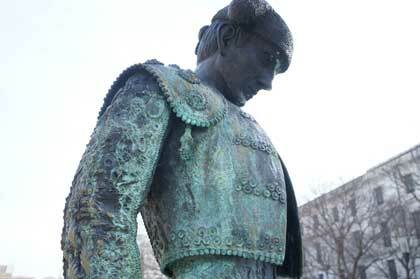 In September 2012, red paint was splattered on the statue.